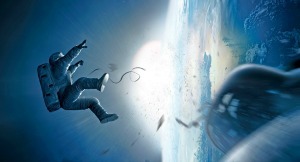 The 2013 film Gravity, directed by Alfonso Cuarón, can be understood as an illustration of a transformative grief process enabled by the engagement of the inferior function. Applying John Beebe’s eight-process model of type, based on Carl Jung’s theories, the viewer can imagine the protagonist as an INTP type who is led into an expanded consciousness by her inferior function Animus of extraverted feeling (Fe). Throughout the film’s progression, one can see the interaction of Fe not only with the dominant introverted thinking (Ti) and auxiliary extraverted intuition (Ne), but also with the “shadow” functions that dwell largely in the protagonist’s unconscious. Through this dynamic interplay, the Animus acts as a revitalizing agent that guides the heroine out of debilitating psychic pain and into a meaningful and transformative encounter with authentic grief. It is often easier to identify typology in films than in life, due to the functions’ over-simplified or exaggerated depiction onscreen. 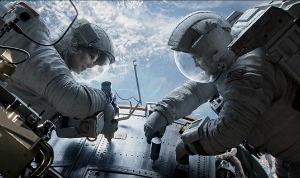 However, Gravity’s protagonist, Ryan Stone, played by Sandra Bullock, exhibits her dominant function of introverted thinking (Ti) rarely and subtly, as is often the case with introverted functions. I believe a strong case can be made for her INTP type nonetheless, for often we can identify our dominant function only by recognizing our inferior function first. As Marie-Louise von Franz points out, “It is most helpful when one wants to find out the type to ask, what is the greatest cross for the person? Where is the greatest suffering?” (1971/2013, p. 21). In this case, it appears clear that the character of Matt Kowalsky (acted by George Clooney) represents extraverted feeling (Fe) and equally clear that he plays an Animus role in the film. If Fe is the protagonist’s inferior function then her dominant function must be Ti. Whereas Stone’s dominant Ti is difficult to spot in action, her auxiliary extraverted intuition (Ne) is more recognizable. A scientist who endured six months of NASA training in order to test her prototype of a scanning system in outer space—“a new set of eyes to scan the universe” (Cuarón & Heyman, 2013)—Stone is clearly “driven to build future possibilities from the objective data in the environment,” as Haas & Hunziker (2011, p. 54) described Ne. Furthermore, Stone exhibits a “loyalty” to her vision that is characteristic of the Ne function as imagined by Jung (1921/1971, p. 368). The Function-Archetype Decoder (McAlpine et al., 2009) describes the INTP type as “independent, quick, analytical, logical, adaptable.” Despite these strengths, however, this type also “overlooks feelings of others, struggles to express emotion,” and can exhibit “stubbornness, bluntness, shyness.” All of these qualities appear to be present in Stone’s character from the start. One important twist to this particular INTP is that we know her only in the wake of her four-year-old daughter’s death. We learn of this tragedy partway through the film, and it is clear that Stone is still reeling from the tragedy. Her daughter’s death was accidental—she fell and hit her head during a game of tag—and it is possible that the nonsensical and unjust nature of the event was too much to process for Stone’s dominant Ti function, which values fairness and logic (Haas & Hunziker, 2011, p. 88). In this case, perhaps her Ti function is actually paralyzed or temporarily disabled, leaving her adrift to find a new way through this grief, a state of mind later externalized by the accident that maroons her in space, detached, floating, helpless, and isolated. At the opening of the film, we see Stone along with two other astronauts working on a mission in outer space. All three characters are outside of their spacecraft, the “Explorer,” and working diligently on separate tasks. We can overhear their communications with mission control back on Earth: “Dr. Stone, Medical is concerned about your ECG readings.” “I’m fine, Houston,” Stone curtly replies. Right away the protagonist displays the kind of quiet focus articulated in the INTP’s motto, “I’ll handle it; don’t worry about me” (McAlpine et al., 2009). We are soon introduced to Matt Kowalsky, a fun-loving, story-telling astronaut on his final space mission who will prove to be Stone’s saving grace. He engages with mission control through humor, re-telling old anecdotes from his past. The stories don’t seem relevant to his tasks at hand from a viewer’s perspective, but when understanding him as an extraverted feeling type, we realize that he “has an outward focus that is primarily about people and their relationships” (Haas & Hunziker, 2011, p. 94). Mission control again checks on Dr. Stone’s physical condition. Her response is, “I’m fine, it’s just … keeping your lunch down in zero G is harder than it looks.” Perhaps this is our first glimpse into this INTP’s extraverted sensing (Se) function, which falls in the seventh position, identified by Beebe as carried by Trickster energy. Here, Stone feels “overwhelmed, even nauseous, in an environment with too many active sensory stimuli” (McAlpine et al., 2009). Despite her shaky condition, she continues to focus determinedly on the task at hand but her stress shows when, in irritation, she asks Kowalsky to turn off his music. True to his function type, he is playing Hank Williams, Jr.—country music that is almost exclusively sentimental and relational in nature, another marker of Kowalsky’s Fe identity. Mission control reports a problem with the functioning of Stone’s prototype, telling her she will have to improvise. Without skipping a beat, Stone replies confidently, “I’m on it,” and predicts that she will have discovered a solution within the hour. If we imagine this moment as her Ne asserting itself, then she is utilizing the function to “see and articulate new paths forward” in the face of obstacles (McAlpine et al., 2009). Upon completion of his task, Kowalsky turns to Stone to offer assistance. Immediately upon joining her, he asks, “How are you feeling?” Again we see that this character is primarily concerned with the welfare of those around him, a clear marker of Fe. When Stone reports her physical discomfort, Kowalsky empathizes and reports similar issues on his first space mission. Here it seems he is personalizing “others’ discomfort or pain,” seemingly “driven to keep others from being embarrassed or hurt” (Haas & Hunziker, 2011, p. 96). When Stone drops an important bolt for the machinery she is working on, Kowalsky catches it just before it floats out of reach. Stone appears embarrassed by her mishap, but again Kowalsky tries to help her feel comfortable by paying her a compliment: “Hey—you’re the genius up here. I just drive this bus.” Here we perhaps see Fe and Se in her Animus and Trickster positions interacting. This is not unusual, as it is often the Trickster that brings us into relationship with our inferior function (Shumate citing Beebe, personal communication, September 2, 2014). Thus it is through an extraverted sensate activity that Stone begins to develop some level of comfort and trust with Kowalsky, representing her Animus Fe. Soon after, mission control alerts the astronauts that trouble is headed their way. Debris from a damaged satellite is hurtling toward them and they are ordered to immediately abort the mission. Kowalsky complies and orders Stone to stop what she is doing and head back to the ship. “I can’t,” Stone replies. “If I turn it off now we’ll lose the whole system.” This is a characteristic response of Ti types, who “are likely to be persevering and independent of external circumstances to a marked degree, with a singleness of purpose that subordinates the social emotional aspects of life to some long-term achievement of the mind” (Myers & Myers, 1980/1995, p. 89). When the debris makes contact, it sends Stone reeling into space alone and panicked. 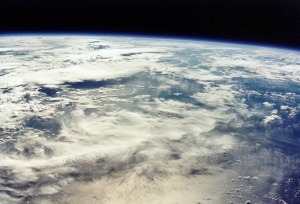 Kowalsky requests permission from Explorer’s captain to retrieve her, although connection to mission control back on Earth is nonexistent at this point. Kowalsky orders the other astronaut to get inside the ship immediately as he risks his own life to save Stone, again characteristic of Fe. Seeing that Stone’s suit is still connected to the arm of the spacecraft, Kowalsky orders her to detach herself, knowing that if she does not do so, the arm will carry her beyond his range. However, Stone is frozen in fear and refuses at first. With Se in seventh position, an INTP “often avoids taking any action because no action seems correct” (McAlpine et al, 2009). However, Kowalsky is able to calm her down by telling her to listen to his voice and follow his instructions. Eventually Kowalsky is able to locate Stone. He continues to talk to her in ways that are comforting and instructive: “You’re breathing too fast. You’re burning oxygen. We don’t want to do that. We want to relax.” Kowalsky’s language is notably “inclusive rather than personal” (Haas & Hunziker, 2011, p. 96). When he reaches Stone, he tethers her to him and they endeavor to make their way to the Chinese space station for rescue since the Explorer is now beyond repair, with no other survivors. As they slowly make their way through space, Stone apologizes for her earlier behavior, trying to take responsibility for the disaster. “I apologize for not complying. I should’ve stopped working as soon as you instructed me to,” she says. This self-critical voice could be interpreted as an INTP’s introverted intuition expressed through the Witch archetype of the Beebe model (sixth position). When the INTP falls into this position, she “may criticize [her]self for not knowing enough, for not understanding something sooner” (McAlpine et al, 2009). Again Kowalsky aims to ease her discomfort by reassuring her that there was nothing Stone could have done to change their predicament. This response is both typical of dominant introverted thinking types, who tend to dislike “talk,” while also surprising, since Ti types normally like to think. Upon further prodding, Stone reveals the story of her daughter’s death. She received the news of her death while driving, “and ever since, that’s what I do. I wake up, I go to work and then I just drive.” One possible theory for this reaction is that Stone’s Ti is “worn out” (von Franz, 1971/2013, p. 21) due to its inability to make sense of what happened. There is no logic to this tragedy, no fairness, and no solution. Thus she relies increasingly on her Ne (through her research) and her Si (in third, Puella Aeterna position) to keep her going. Si in this position “finds tremendous difficulty in ‘letting go’ of people, places, and things” and “may hold on to traditions like a security blanket” (McAlpine et al., 2009). Sadly, it appears that just as a Puella wants to remain an eternal child, Stone wants to remain frozen in this early phase of grief. Or, perhaps it is not that she wants to remain here, but rather she does not know of a way forward. Another reason for this lack of development may be that introverted feeling (Fi) falls in the eighth position of Beebe’s INTP model. The Demon/Daimon archetype associated with this position makes it especially difficult for INTPs to connect with intense emotion, such as grief. However, it appears that by confessing her reality to Kowalsky, something is stirred within Stone and we see deep feeling begin to awaken within her. As they approach the Chinese space station, Kowalsky coaches Stone on how to maneuver. Unfortunately, they are hurtling toward the ship so fast that they are not able to control their landing. In a horrific turn of events, Kowalsky detaches himself from Stone in order to prevent them both from dying. This sacrifice is devastating to Stone (who begs him not to do it) but characteristic of an extraverted feeling type: “They want to nurture people, whether or not the people want to be nurtured,” and once this difficult decision is reached by Kowalsky, he “moves very quickly to closure” (Haas & Hunziker, 2011, p. 95). Kowalsky’s self-sacrifice can also be seen as the Animus once again acting as “the door through which all the figures of the unconscious come into consciousness” (von Franz, 1971/2013, p. 67). Right before he unharnesses his tether from Stone, Kowalsky tells her (in a compassionate yet firm tone), “You have to let me go.” His extraverted feeling is giving Stone a much-needed lesson—she must stop using her Si Puella to hold on to a situation that is no longer life-giving (and that in this case is literally life-threatening). It is time to let go of her daughter. It is time to let go of her debilitating prison of pain. But most importantly, it is time to let go of her former self—the self that is unequipped to make sense of this tragedy. She must release so much so that she can move forward into transformation. Even as he floats away to his death, Kowalsky continues to coach Stone to safety by utilizing his Fe. Toward the end of their conversation, Kowalsky mentions that he has brown eyes instead of blue, mirroring back a previous banter between the two characters at the start of the film. Since Stone herself has brown eyes, this could be a suggestion of a level of Fe integration on her part, a subtle hint that from this point forward, Kowalsky and Stone are one. Stone tells Kowalsky that she is coming to get him once she gets the ship running, but he informs her that this would be impossible as he is now too far away. Stone stubbornly maintains that she will rescue him, a common temptation for introverted thinkers with extraverted intuition: “They need to check out even their most attractive intuitive projects against the relevant facts and the limitations these facts impose” (Myers & Myers, 1980/1995, p. 92). To distract her from this doomed mission, Kowalsky again uses his Fe to put her at ease. “Wow, you should see the sun on the Ganges,” he tells her; “It’s amazing.” Although floating to his death, Kowalsky’s tone of voice is filled with peace, acceptance, even gratitude for this stunning final image. According to Jung, such a scenario for Fe types may not be far-fetched. Their “feelings harmonize with objective situations,” allowing them to become swept up in the awe of nature’s beauty (1921/1971, p. 356). The last we hear of Kowalsky is the “sad crooning” of his Hank Williams music. Once inside the ship, Stone is almost out of oxygen and barely remains conscious while the chamber proceeds to airlock. At the last possible second, Stone takes her helmet off and inhales deeply. 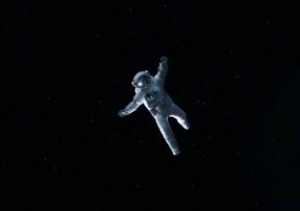 The script directions read that she sheds her space suit “as if shedding her old skin” and floats in the chamber in “a fetal position” (Cuarón & Heyman, 2013). This scene, resembling that of a fetus in the womb, could be imagined as the beginning of the rebirth process for Stone. Once she regains some energy, Stone again attempts to make contact with Kowalsky from inside the station. However, there is only static on the other end of the radio. This seems to reinforce the idea that the inferior function cannot be consciously developed, for “it is too deeply implicated in and contaminated by the unconscious” (von Franz, 1971/2013, p. 73). When Stone finally accepts the loss of Kowalsky, she appears deeply hopeless. Just at this moment, however, a fire breaks out in the station propelling her out of her paralysis. Stone is forced once again to use her extraverted sensation to put out the fire and make an escape. She barely makes it into the escape pod, but when she attempts to fully eject from the main station she finds that a tangled parachute prevents her maneuver. Suddenly Stone is startled by a radio transmission from a man, named Aningang, back on Earth. Although he does not speak English, Stone finds comfort in talking to him nonetheless. “Where are you, Aningang? Is the sun out? Are there birds? Are there trees? Can you smell the ocean?” Stone asks the stranger. Here it appears that she has begun to access her Se function in a more conscious way, connecting to it through her extraverted feeling. Again we see the Animus and Trickster connected. Then Stone hears dogs howling from the radio speakers. The sound stirs her deeply, and she begins to howl with the dogs. This moment is illustrative of von Franz’s remark regarding “how deeply the inferior function can connect one to the realm of animal nature within oneself,” and that “the inferior function is actually the connection with one’s deepest instincts, with one’s inner roots, and is, so to speak, that which connects us to the whole past of mankind” (1971/2013, p. 72). Here we see Stone feeling deeply moved. After what seems a lifetime of complete disconnection, she now feels connected to a complete stranger, and to a different species, and to her home planet of Earth even while she is so far away and close to death. Stone begins to confess her feelings to Aningang. Exploring her circumstances from this Feeling position, she muses on the experience of imminent death. At first she confesses apathy, claiming that she doesn’t have anything more to live for. This sounds like her Witch speaking through the Ni function, convincing her of “an empty, meaningless future” (McAlpine et al., 2009). However, Stone then realizes she is in fact scared, knowing that no one below will mourn her or pray for her. She asks Aningang to pray for her since she cannot pray for herself, because no one ever taught her how. The scene is beautiful and heartbreaking at the same time. We can see how Fe in the Animus position, as embodied by Kowalsky, helped the dominant Ti remember “what it is not taking into account”—what Stone had been missing without access to her extraverted feeling function. While this seems to be the final moment of defeat, where Stone will succumb to death, she is suddenly awakened by the sound of a crying baby coming through the airwaves. Stone is brought again into her Fe function and is re-energized. Suddenly she is at peace, hoping she will be able to see her daughter soon in the afterlife. Then, just before she slips into unconsciousness, an apparition of Kowalsky reappears at the portal. Opening it, he lets himself in with a smile, for as von Franz points out, “on the fourth door” (as in the fourth position, the inferior function), “the lock does not work, and there, when one is least prepared for it, the unexpected will come again” (1971/2013, p. 67). Country Western music fills the cabin and Kowalsky cheerfully offers assistance once more. Here, we can assume that this is the internalized Animus image of extraverted feeling, since there is no way that Kowalsky could have survived this long, nor could he have entered the pod without deleterious effects to the ship or to Stone. Stone initially seems skeptical of Kowalsky’s help, telling him that escape is impossible due to a lack of fuel. Kowalsky is undeterred and unflustered, as usual. “Did you try the soft landing jets?” he asks Stone. Stone admits that she had not thought of that, but still seems pessimistic of the possibility of survival. “I get it, it’s nice up here,” Kowalsky says, “There’s nobody up here who can hurt you, it’s safe. … Your kid died, doesn’t get any rougher than that, but still it’s a matter of what you do now. … You have to start living life.” It seems that Stone’s Animus is trying to reconnect her with her Ti and Ne functions in a revitalized way. It could also be argued that Kowalsky is pushing her toward her Te function to figure out a way forward. Regardless, he tells her that she must learn to let go. In other words, it is time to grow up. She must emerge from the Puella position of Si, where she clings to what feels safe: to what she knows, to the past. She must leave the womb and enter life; she must let the grief process bring her to a new maturity and a new interaction with herself and the world around her. Kowalsky’s message hits home, and Stone is once again alone in the pod, only this time more determined than ever to reclaim her life. “In the realm of the inferior function there is a great concentration of life, so that as soon as the superior function is worn out … if people succeed in turning to their inferior function they will rediscover new potential for life” (von Franz, 1971/2013, p. 15). As Stone gets ready for her next phase of survival, she tells her imaginal Kowalsky to pass along a message to her daughter in the afterlife. We see that she is now utilizing her own extraverted feeling in a more conscious way. By holding her memories of her daughter in this manner, she can move forward while still feeling connected. She can accept her daughter’s death while keeping her alive—a reconciliation of the opposites that allows for new life and a new attitude. We next see Stone go through another series of events that require extreme engagement with her Se function but this time she is more confident than before. She realizes that she is fighting for her daughter, to make her proud. It is her Feeling connection with her beloved little girl that inspires her to engage with the necessary functions for survival. “I’m done with just driving,” she declares. “Let’s go home.” This statement implies that she is returning to familiar territory but engaging with it in a new way. When Stone finally reaches Earth, her pod plunges into a body of water (it appears to be a lake), sinking to the bottom. Stone manages to free herself from the vessel and swim to the surface. When she reaches the shore, she pushes her face into the sand and is filled with ecstasy. “Thank you,” she says. As she stands, then falters, then slowly stands again, we see her shaky legs mirroring the first steps of a baby. Stone is reborn, transformed. Von Franz states that “touching the inferior function resembles an inner breakdown at a certain crucial point in one’s life.” However, “if someone has really gone through this transformation,” she can then access the appropriate functions for each situation, no longer possessed by the dominant function (1971/2013, p. 73-74). Introverted thinking, as the dominant function, was not capable of coping with Stone’s grief. She fell into a deteriorated introverted sensate position in order to stay alive, but she became stuck there. “One has to suffer defeat in order to develop further (p. 68),” however, and indeed it was a series of defeats that brought Stone into contact with her saving grace, her inferior extraverted feeling. James Hillman asserted that, “Self-realization is a process of feeling-realization, realizing what we feel, feeling what we are” (1971/2013, p. 102). In this case, Stone’s Animus extraverted feeling, the “divine fool” (p. 10) acts as an inner guide that helps her feel out her shadow functions and feel anew her conscious ones. By martyring himself so that Stone could live, Kowalsky as Animus image proved to be the “ever-bleeding wound of the conscious personality” (Von Franz, 1971/2013, p. 68). And yet, by re-emerging through the unconscious, he allowed for an enlargement of Stone’s consciousness. Through this inner (and outer) process of death and rebirth, a new attitude was born. Paralyzing grief became transformative grief. Cuarón, A. & Heyman, D. (Producers) & Cuarón, A. (Director). (2013). Gravity [Motion picture]. United States: Esperanto Filmoj & Heyday Films. Hillman, J. (1971/2013). The feeling function. In Hillman, J. & von Franz, M-L., Lectures on Jung’s typology. Dallas, TX: Spring Publications. Jung, C. G. (1921/1971). General description of the types (R. F. C. Hull, Trans.). In H. Read et al. (Series Eds. ), The collected works of C. G. Jung (Vol. 6, pp. 330-407). Princeton, NJ: Princeton University Press. McAlpine, R., Shumate, C., Evers, A., & Hughey, D. (2009). The Function-Archetype Decoder [Software program]. Louisville, KY: Type Resources, Inc.
Myers, I. B. with Myers, P. B. (1980/1995). Gifts differing: Understanding personality type. Mountain View, CA: CPP. von Franz, M.-L. (1971/2013). The inferior function. In Hillman, J. & von Franz, M-L., Lectures on Jung’s typology. Dallas, TX: Spring Publications. Josep Llimona, “Desolation” (1907). Courtesy: Museu Nacional d’Art de Catalunya. 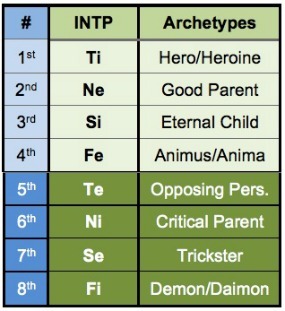 As an intp female, this analysis was helpful to understanding my functions. I rented the movie after seeing this article (I waited to read it thoroughly until after the movie), and it helped me watch for the functions as they manifest individually in Stone. There is a lack of function analysis specific to intp women, so I’ve had a hard time understanding certain parts. It’s been extremely difficult to wrap my mind around an animus with extraverted feeling. This movie with your analysis shows a perfect example of how she uses her animus to progress and prosper. Thank you so much for providing such an illustrative analysis for intp women. 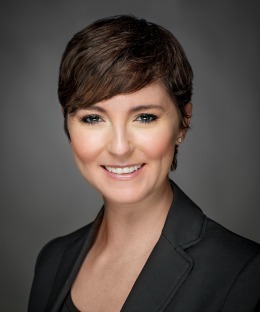 Lauren Morgan Wuest, MA, LMFT-A, (INFJ) is a licensed psychotherapist in Austin, Texas. Through her private practice, Soulful Psychotherapy, Lauren Morgan aims to provide individuals, couples, and families with opportunities for healing and self-exploration. She specializes in Jungian dreamwork, early childhood trauma, and Emotion Focused Couples Therapy. She is also a third-year doctoral candidate in the Depth Psychology program at Pacifica Graduate Institute, with an emphasis in Jungian and Archetypal Studies.